Mollie L Patterson has released some scans of flyers advertising various SNK games from E3 1999. Sonic is among them, along with Sega's Puyo Pop and many more. Check out the full lineup of scans on her site. 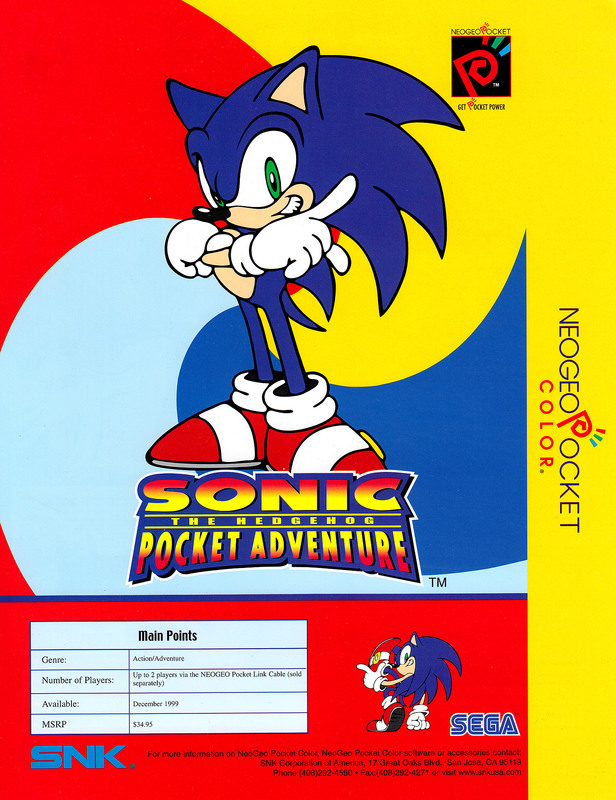 Sonic Pocket Adventure was a portable outting for SNK's ill-fated Neo Geo Pocket Color. 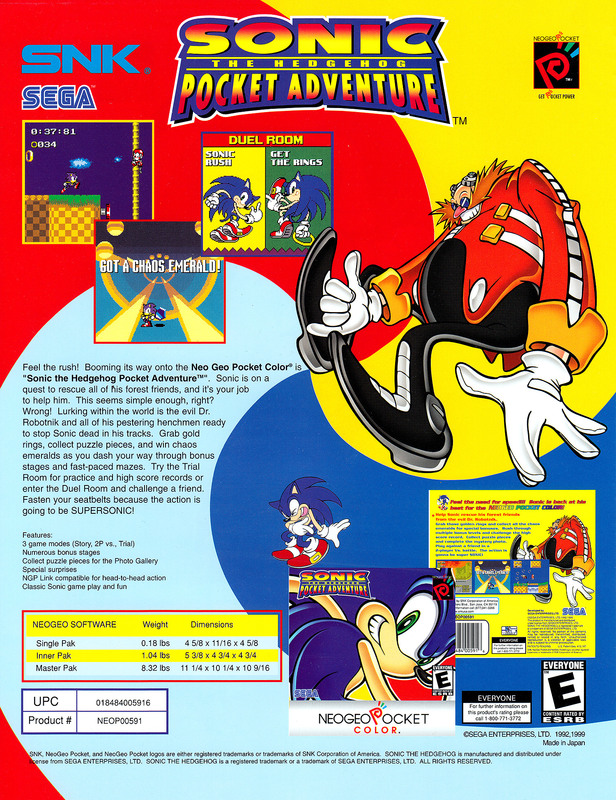 It was the first Sonic game developed for a non-Sega platform. The game is largely based on Sonic 2, with a soundtrack borrowed from S3&K.